The reigning World Champion and 2018 Gold Coast CWG gold medallist, Mirabai Chanu, has decided not to compete at the upcoming Asian Games after a repeating niggle in her lower back. Sportskeeda had earlier spoken to national coach Vijay Sharma and reported that Mirabai's participation was still in jeopardy. 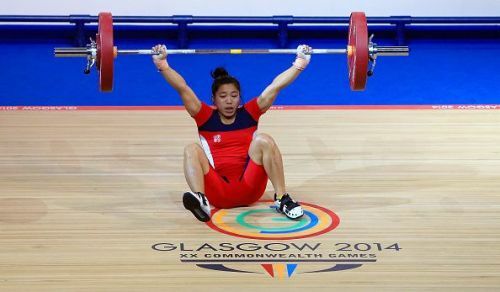 The Manipur-born weightlifter had suffered a lower back injury. After the pain had subsided she started training again but sadly it resurfaced and gave her trouble in one of the training sessions. This comes as a huge blow for the Indian weightlifting contingent and the nation as a whole as Mirabai was one of the leading medal prospects and touted to lead India's charge in Jakarta. The national coach Vijay Sharma had recommended that 'Mirabai must not compete in Jakarta-Palembang' on Monday and submitted a report to the Federation. On Tuesday, the 23-year-old has pulled out in order to ensure that she is fully fit for the World Championship that will act as the Olympic qualifiers and are scheduled for later this year. Mirabai had already lost too much of precious time and had not been doing full-fledged weight training due to the unidentified pain in her lower back, which is yet to be diagnosed fully. This decision may have hurt the sentiments of the fans of Mirabai but it is certainly a wise one as she could have aggravated the injury had she opted to compete in the Asian Games. The Padma Shri awardee will look to put this incident behind her as soon as possible and focus on getting the treatment done for the injury soon. The Federation should also ensure that the problem is diagnosed on an urgent basis as Mirabai is a huge role model in the country and her missing out due to a failed diagnosis of the problem is uncalled for.